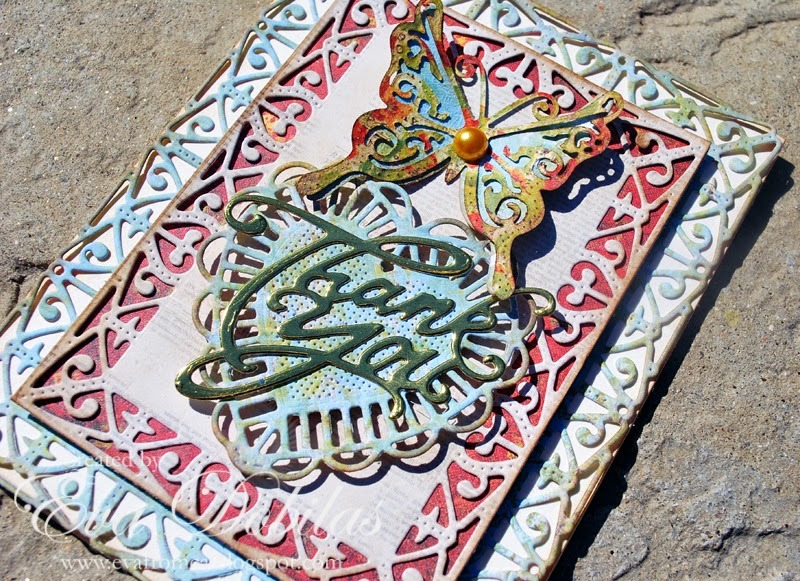 Hi there, I am here today posting my first official post on the Cheery Lynn Designs Blog. 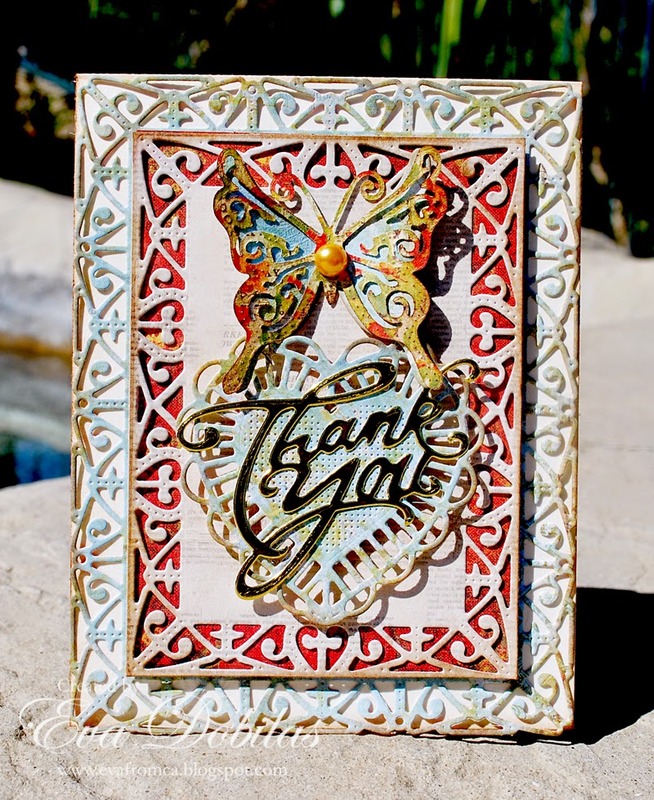 It brings me the joy to share a thank you card purely made with beautiful Cheery Lynn dies. I can never create enough thank you cards as there is always so much to be thankful for. I really enjoyed making this card with all the pretty dies. To create my card I cut an A2 size card base using cream card stock. I die cut the largest Deutschland Boutique Stacker out of Prima patterned paper, and layered it on top of the card front. Than I die cut a smaller Deutschland Boutique Stacker out of another Prima patterned paper and cut off the edges to a rectangle to fit in the middle of the larger stacker and backed it up with red patterned paper, so it can show through the pretty doily stacker. I die cut the larger heart out the Two of Hearts dies out of Prima patterned paper and also die cut the word Thank you out of gold foil card stock and layered it on top of the heart die. Finally I die cut a butterfly using one of the Small Exotic Butterflies #2 and die cut it's wing to contrast with it and added an orange color pearl in the middle. Thank you for stopping by to see my post today and good luck to everyone entering our weekly challenge!